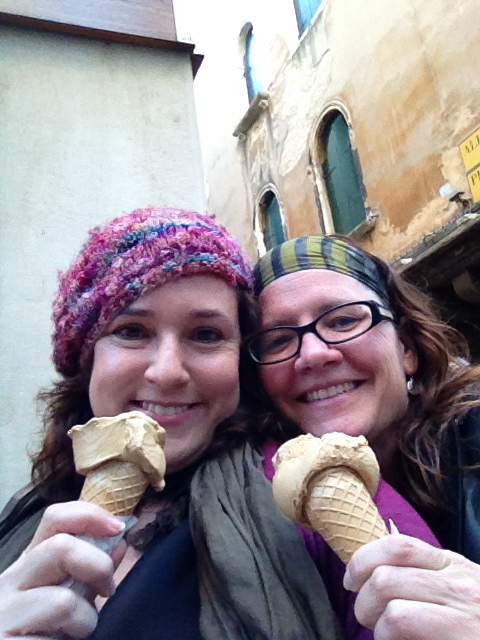 Life lesson from Italy #3 - It's okay to be a tourist...if you eat lots of Gelato - Colette Freedman is a top Hollywood Script Doctor who has also ghost written several novels. Vats of Gelato. Gallons of Gelato. Entire Storefronts of Gelato. When I travel, I don’t wear socks with sandals or bright colors sneakers or Chico’s ensembles. I don’t want to look like an American, I want to blend in. I like to look the part when I travel. Yet, looking the part does not mean acting the part. Especially when it comes to eating gelato. 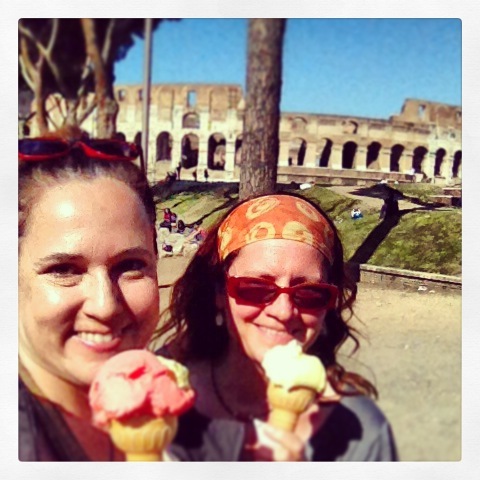 My travel philosophy is to try as many gelato flavors and stands as possible. After all, odds are I may only visit a city once in a lifetime…I might as well enjoy its gastronomic options to their fullest possibilities. So…I pushed my way through several obese Midwesterners to toss a coin in the Trevi Fountain while eating Pistachio gelato. 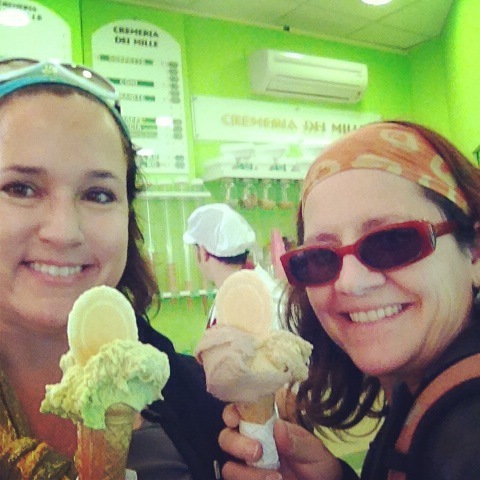 I followed Nuns in the Vatican while eating Cioccolato gelato. I chatted up Gondoliers in Venice while eating Tiramisu gelato. I bought Murano Glass in Murano while eating Fior di Latte gelato. I had Stracciatella gelato in front of the Colosseum, Menta gelato in Piazza San Marco, Fragola gelato in Piazza Navona, Caffè gelato on a vaporetto in the Grand Canal, Nocciola gelato in Campo dei Fiori, and Limone gelato in front of Fountain of Neptune in Bologna. Sometimes, 31 flavors just isn’t enough. Never doubt you’ll be back in Rome….didn’t you drop a coin in Trevi fountain? I just gained five pounds reading about all that gelato. Now I have to get to the gym! Sounds FANTASTIC! I have to know….which flavor was your favorite? pistachio trumps all other gelato flavors…in my humble opinion!